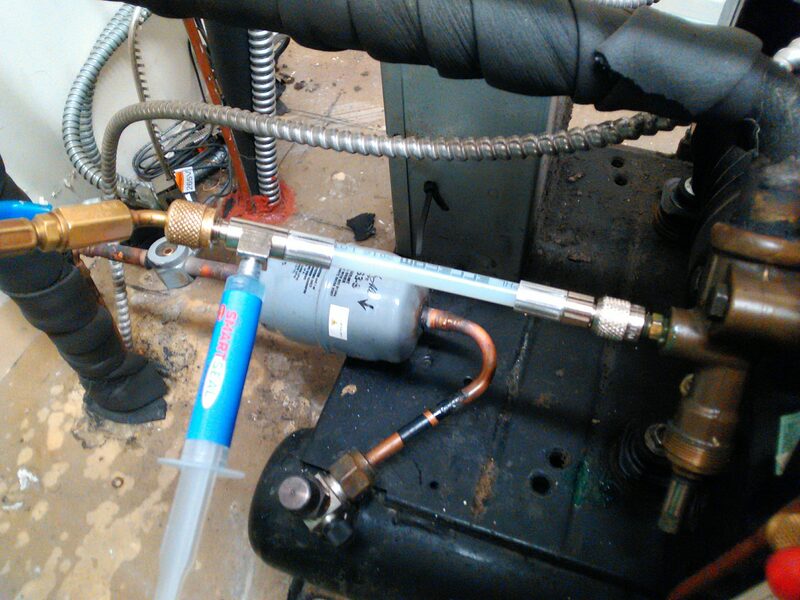 Not too long ago, I was under the impression that all internal leak sealant products were equally destructive to air conditioning or refrigeration systems. About a year and a half ago, there was a heated debate regarding such products on My HVAC Hub powered by HVAC Know It All on Facebook. I argued that they will, in a matter of time, potentially plug up valves, and possibly cause failure of test tools, such as my Testo 557 or Smart Probes. I began to dig a bit deeper into the subject and talked to several technicians. The conclusion of the discussions were that polymer based sealants will potentially crystalize within a system possibly restricting valves and openings if moisture is present. If this is the case, when a system is opened up, air and moisture are introduced, will the polymer based sealant crystalize in place? There are reports of this happening. 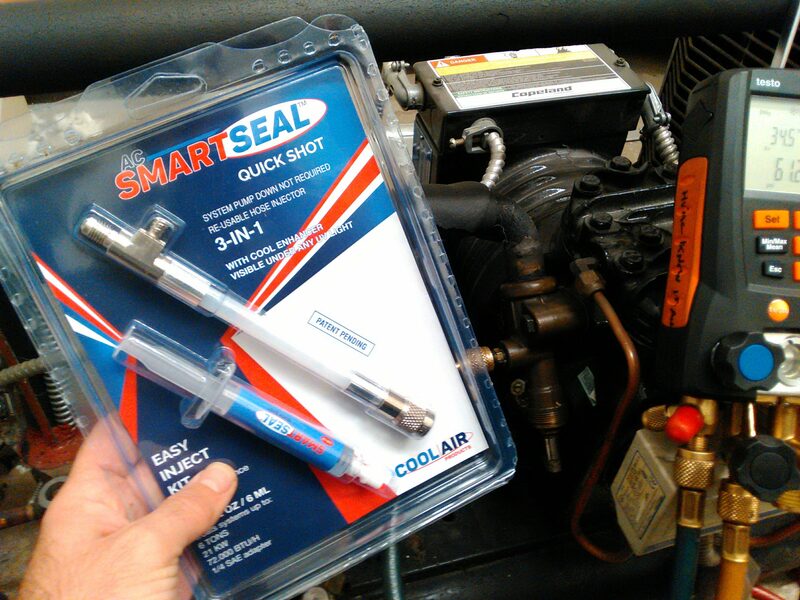 It wasn't long after this, I was contacted by Cool Air Products to test out samples of AC Smart Seal Quick Shot and AC Smart Seal External. Quick Shot is an internal leak sealant developed specifically for air conditioning and refrigeration systems, it is oil based and came with the promise of non clogging and non toxic. It also contains dye, and lubricant. I had a perfect field candidate for Quick Shot. It was a sixteen year old two ton split cooler unit. The unit had a history of slow leaks that would take roughly six to seven months to reveal itself. A few years of charge adjustments and refrigerant tags, after fixing what was thought to be the leak location, it was time to try something different. This cooler had 100% redundancy in the form of a back up unit, which made it even more tempting to experiment. I added Quick Shot using the reusable easy inject. My fancy Testo gauges were also on the system at the time. Approximately ten months later, my gauges are still treating me kindly and the system is leak free and operating well. Why is this good news? Formicary corrosion, also known as ant nest corrosion is a serious problem, especially on evaporator coils. The best solution for this is to replace the coil and or system. Not that easy, there are budget restraints, scheduling issues and other obstacles. Having a viable customer solution is your job as a company and technician. Just remember, this product is for low leak rates, not large obvious leaks. The video below is an experiment that was performed to reveal that AC Smart Seal does not crystalize when in contact with air or moisture. It took me almost a year to open up a roll of External. I witnessed a video on social media of someone using it and wanted to try it myself. AC Smart Seal External is a sealing putty that can be used in unique situations, it is truly a genuine truck stock item that when needed, could be worth its weight in gold, especially on aluminum coils. The other thing that comes to mind, while brazing, unless you are wearing a respirator, you are breathing in fumes that do not belong in your body. Not to mention burning oil and refrigerant, not fun stuff by any means. We treat AC and refrigeration units like precious gems but it's rare to see the tech treat their body in the same manner. I put it to the test in the video below to see how it stacked up against a brazed joint. This article was almost an entire year in the making, I needed to go through the motions to ensure these products worked before I could use them in the field. Again, my Testo 557 gauges were not effected by using Quick Shot. 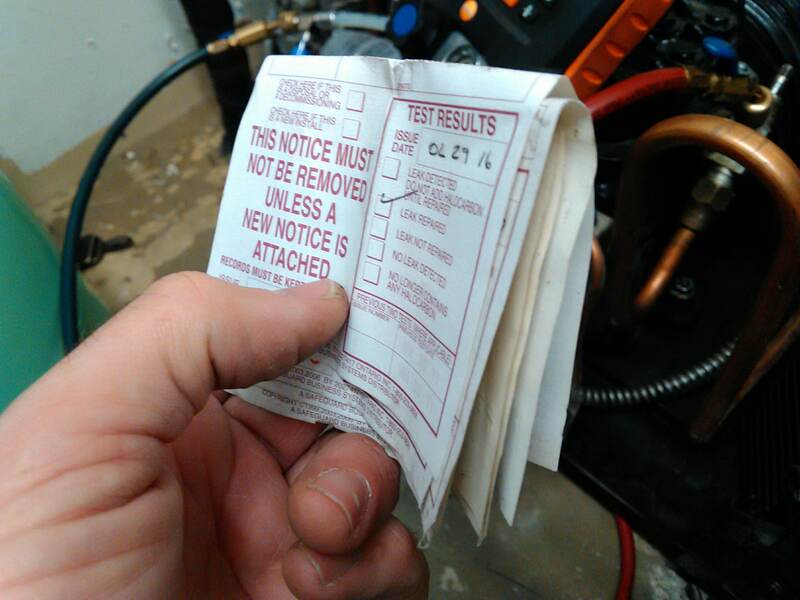 As a technician in the HVAC field, we must be diligent in our decision making and educated about the tools and products we use.